Here at R J Vehicle Sales, we are driven by you, our customer. That is why we have tailored our services and day-to-day workings around what we can do for you. Not only are all of our vehicles HPI and DVLA Milage checked, we offer Warranties, provided by Momentum warranties. We recognise that sometimes things don’t go to plan, but we think it’s important that we make sure our customers have peace of mind should this happen. 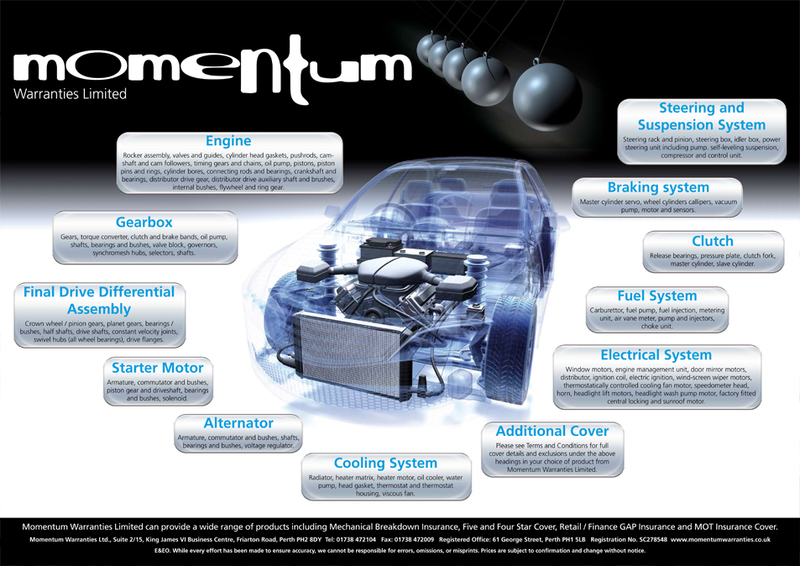 That’s why every vehicle sold here at R J Vehicle Sales comes with 12 month Momentum platinum warranty, with the option to be extended and upgraded if you wish. This is one of the many things we do for our customers to provide the absolute best, easiest and reassuring purchase in the market. So, to find out more information about our Warranties, or any of the services that we have to offer here at R J Vehicle Sales, please feel free to call or come and visit.